Many student nurses have preconceived ideas about the different areas of healthcare and how they would like their career to progress. Undertaking placements can dispel myths and sometimes even change the course of a nurse’s original chosen career path. “Seeing a nurse-led unit in action can be a shock to many of the student nurses. They are used to having doctors present in the hospital telling them what to do. Here, we make the decisions and have complete autonomy over the clinical care of our residents. It means the students can build a more balanced relationship with doctors than they would in a hospital. 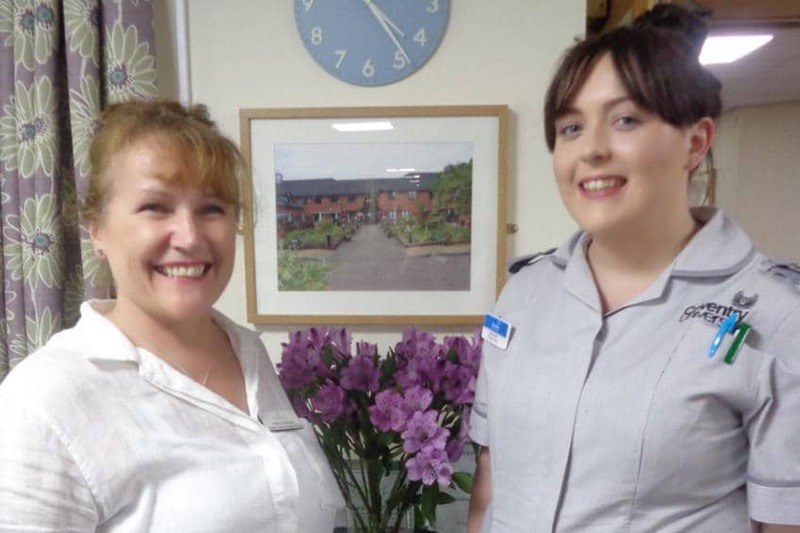 Leah Devlin, who is on placement at Cubbington Mill from Coventry University, agrees: “In the hospital we look at the condition initially rather than the person. That’s just how hospitals are, but here, care is much more person-centric.